Electric car startup Byton stepped into the spotlight this past January when it showed off a flashy concept SUV at the 2018 Consumer Electronics Show. Now the company is already pulling the cover off of a second concept a sedan this time, also all-electric at CES Asia in Shanghai this week, just one day after announcing a new $500 million round of funding. The concept, named K-Byte, is just a tease of the sedan Byton says it will start manufacturing in 2021. The headlining feature? The company is promising that the car will be capable of Level 4 autonomous driving, according to the scale set by the Society of Automotive Engineers, meaning it could take a person from point A to B without ever requiring that they take (or even be ready to take) control. That’s a lofty promise, considering no company has delivered anything beyond what’s considered Level 2 technology, also known as advanced driver assistance systems (a la Tesla’s Autopilot, or GM’s Super Cruise). Some companies, like Waymo, are testing self-driving cars that can perform Level 4 functions, but none have deployed anything resembling this tech in a consumer car yet. 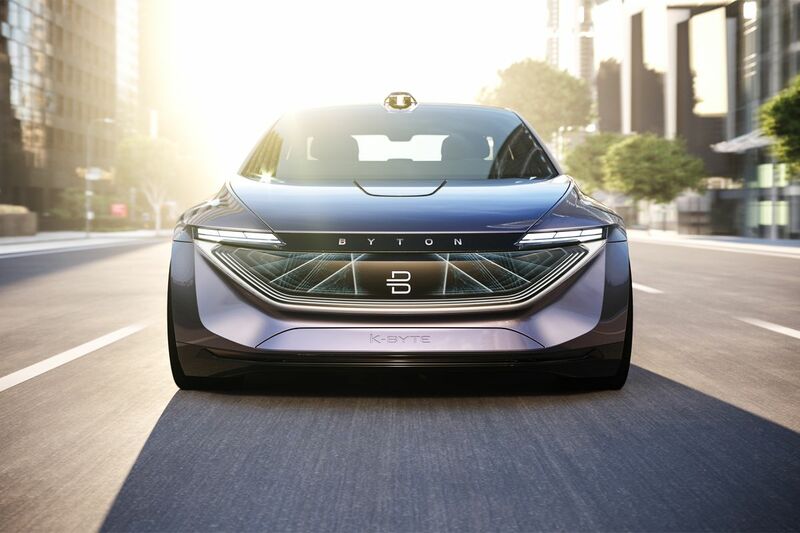 Byton’s self-driving tech will be provided by Aurora Innovation, a company started by the former head of Google’s autonomous car program. Aurora has deals with companies like Volkswagen and Hyundai to provide similar capabilities in the coming years. Admittedly there are technical challenges and risks, but they have become easier to plan against. They’re absolutely convinced that they’re going to make it, and that the passion of all the people in the company is focused on one target: bringing the first car out by the end of next year.